Social security has provisions for individual with a physical disability and mental disability. Individuals who have worked for a given time period and have a physical or mental disability which prevents them from working can be eligible for social security disability claims. Conditions include but are not limited to: Severe back pain, Lupus, Stroke, Diabetes, Parkinson's disease, orthopedic problems, knee or shoulder problems, heart attack, Blindness, Arthritis, Cancer, Narcolepsy, Sleep Apnea, and Hepatitis C.
It is a social security law that a person who suffers mental or physical disability may be entitled to social security disability benefits from the government. Unfortunately, some people get rejected when they make social security disability claims. In fact, two-thirds of disability claims get rejected. If your application for social security disability has been rejected a social security disability lawyer can appeal the rejection. A social security disability lawyer can significantly increase chances of benefits being approved by the government. The application for the claim can be complicated and take longer than you might expect. An experienced social security disability lawyer can evaluate your claim and get the documentation ready and give your claim the best chance for approval. 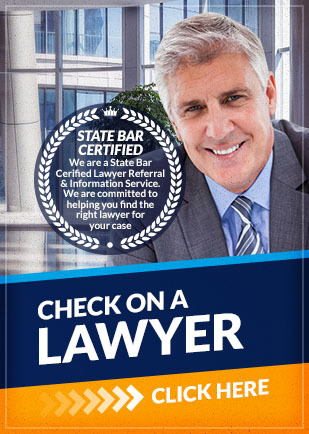 If you need a social security lawyer because of social security law issues, Attorney Search Network can help refer you to a social security lawyer near you who can help. If you have any questions about the information provided above, please contact us. Call us toll free at (800) 215-1190 or fill out our online form for your Social Security lawyer referral.